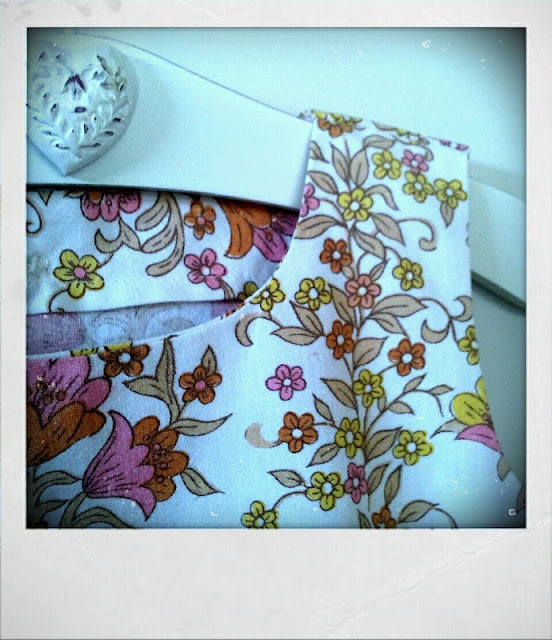 This week I've been making a little dress for Lulu's birthday. I'm a bit proud of it really because I read those instructions over and over and it made sense to me. 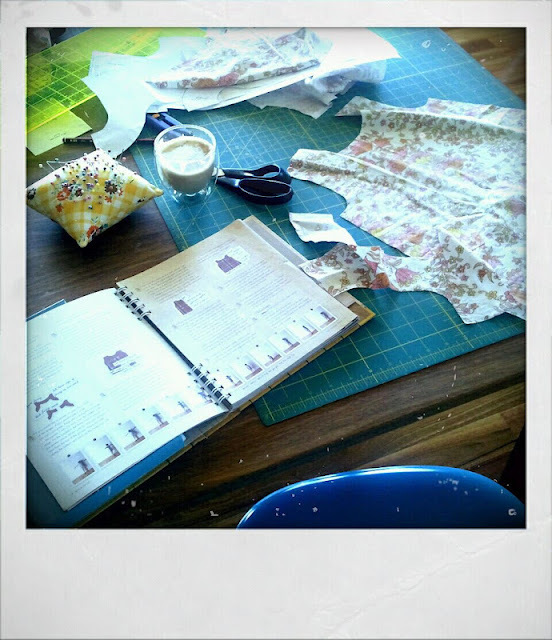 I can sew but reading patterns (and maps and manuals and instructions) isn't my strong point. I am more of a show me what to do it and I'll do it kind of sewer. The Miss Adorable pattern came from Pip's book Sew La Tea Do. This just might be my favourite of her lovely books. I've used a thrifted floral sheet. It was such a great pattern for beginners like me and only took me a few hours to make. I pottered around a bit as well, making tea and feeding the kids, so maybe just a couple of hours for the more experienced sewer. I used some pretty pink bias binding for the trim-another first for me. I found this book perfectly helpful. I borrowed it from the library and it is a great resource for beginners so I've added it to my wishlist. Do you have any great 'all you need to know about sewing books'? Pop over here to see what everyone else has been making. PS Next week I'll show my Miss Adorable modelling her birthday dress! 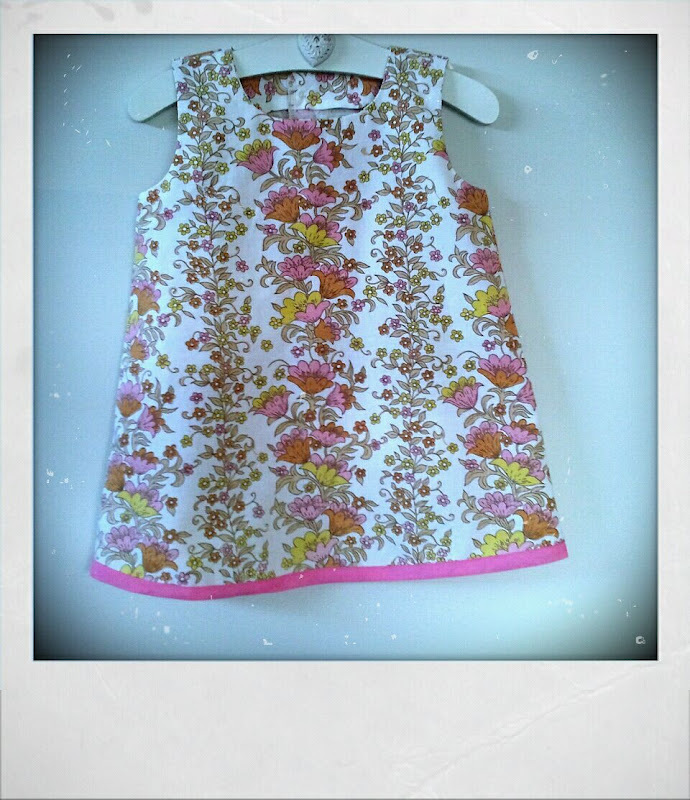 Very sweet little dress...i am sure any little girl would love this..
Love your blog! I have just started thrifting vintage sheets too. Such an awesome cheap way of getting tonnes of fabric! Good effort on the dress too! looks really pro! I love the dress - I'm sure Lulu will too. The print on that sheet is very sweet. It's a gorgeous little dress Lea. No wonder you're proud. 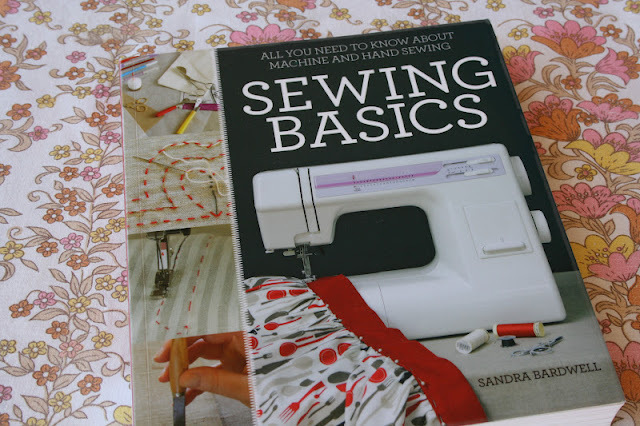 I'm a bit like you as far as sewing is concerned, I struggle with written instructions too, I usually get a massive headache while I'm trying to make sense of them...probably why I don't sew very often. Oh clever you!!!! It's beautiful! Very proud of you Lea Lea, see I told you you can follow a pattern. I love he fabric as you know and the pink binding is perfect. PS. Bags buying that book for you!